I have read a lot of Holocaust books in the course of my journey through the 1001 Books list. Each book has moved me, has added to my understanding of the time and place, of the experience of those whose lives were torn asunder by the large and small horrors. This book may be the best, though it comes at the subject more obliquely than many. The language, the psychological depth, the complexity together left me breathless. 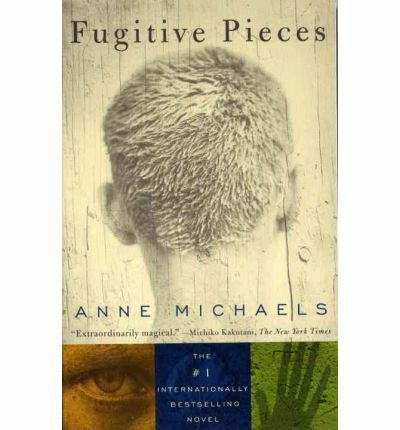 Below you will find my Goodreads review of Fugitive Pieces which begins with the book’s opening passage. “Time is a blind guide. Bog boy, I surfaced into the miry streets of the drowned city. For over a thousand years, only fish wandered Biskupin’s wooden sidewalks. Houses, built to face the sun, were flooded by the silty gloom of the Gasawka River. Gardens grew luxurious in subaqueous silence; lilies, rushes, stinkweed. Let me begin by saying that whatever I type here, I will not do this book justice. You should read this book. I do not give 5 stars lightly, and this volume, which won the Orange Prize in 1997, had earned 5 stars in my mind by just a chapter or two in. In reading farther, I never felt the urge to revise my assessment. This book eases into your soul and takes up residence. Let me start simply with what it is about. The book captures the experiences primarily of two men. The first, Jakob Beer, is found as a child hiding buried in mud at an archaeological site after fleeing the Nazis who have killed his parents. Only after he escapes does he realize that he does not know what became of his older sister. The Greek archaeologist who finds him takes him back to Greece, hides him, and then builds a new life with him as his godfather. The second man, Ben, takes up the story at the point of Jakob’s death. He is a scholar inspired by Beer’s work, and the Canadian child of two concentration camp survivors. The book powerfully chronicles the physical and psychological impact that the Nazis had on individuals and on the territories they occupied, but it does so in gemlike fragments–images, moments, dreams, the reflexive responses of individuals wounded in devastating ways by the horrors inflicted by men on their fellow creatures. Beer is a poet; one gift that the archaeologist gives him is the tradition of using of using language to meet the deepest human experience. As he hides in the house on a Greek hillside, he reads and absorbs the literary traditions of Europe’s great ancient cultures. But he is given more. The archaeologist loves him deeply, teaches him to trust and to connect with people, and shares his own love of the earth and its records of truth. Geology is present throughout the book, and in the later sections meteorology is, as well, since Ben’s scholarship looks at the impact of meteorology on historic events. And finally, romantic love and both its capacity and failure to transform and transcend the wounds of past experience is gorgeously explored in the lives of both men. The language of this book is remarkable, the themes complex and expertly wrought. There are times it is hard to breathe while reading it. This book deserves to be read and reread, as were many volumes on the shelves of Beer’s home in Greece which Ben searches through after Jakob’s death, seeking journals to take back to Canada to a mutual friend. It is too beautiful and too powerful to leave behind after a single reading. This is one of the best books I have ever read. It’s very, very special and I feel inspired to read it again. Nice review.